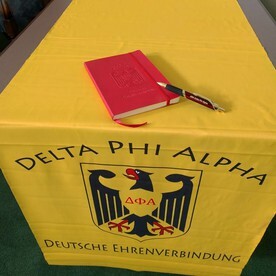 Pins: As of January 1, 2014, each initiate receives a membership pin during their initiation. Replacement pins may be ordered by members or chapter advisors. 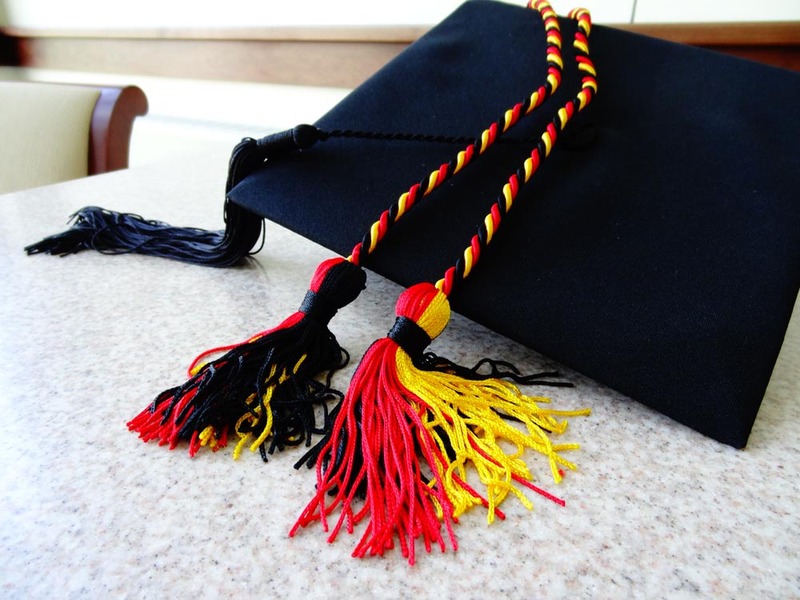 Honor Cords: Double braided, schwarz/rot/gold Delta Phi Alpha honor cords for use at commencement ceremonies are available from the national office. Merchandise may be ordered by Delta Phi Alpha Members or by Chapter Advisors. DPA has an online store for member merchandise only. This is the currently the only option we have for credit card payments for merchandise. Initiations must be done by chapter advisors only. Pins and Cords may be added to the Initiation Form by chapter advisors. 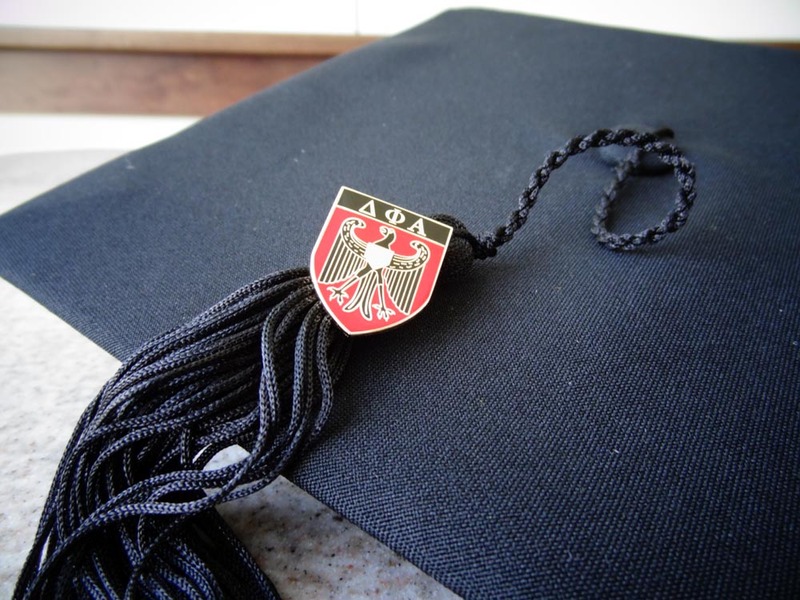 Inducted members should contact their chapter advisor during the initiation process to add merchandise to the order, or may use the online store thereafter to order individual items.